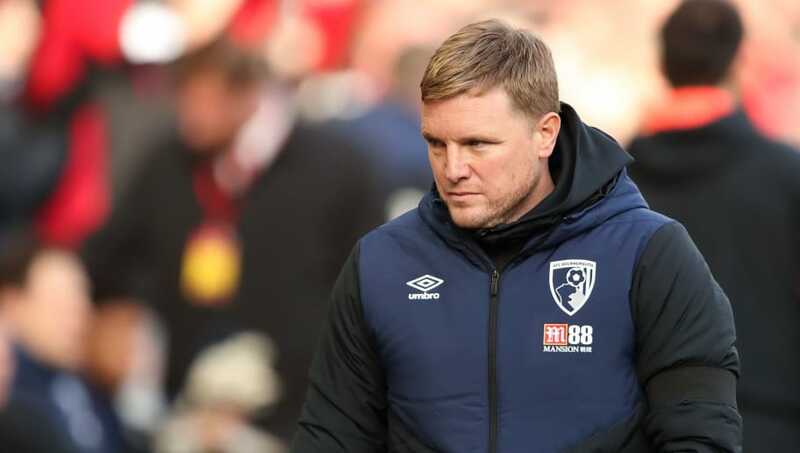 ​Bournemouth manager Eddie Howe has praised his players for continuing to fight on, following his side’s 3-0 defeat to Liverpool on Saturday afternoon. The Cherries were beaten at Anfield by goals from Sadio Mane, Georginio Wijnaldum and Mohamed Salah. The defeat sees them drop down to 11th in the Premier League table following their second consecutive defeat. ​Bournemouth went behind after 24 minutes, as ​Mane headed in ​James Milner’s dipping cross. Although the goal stood, replays suggested that the Senegalese forward was offside when the cross was played into the box. Bournemouth travelled to Anfield with a lot of injury problems, as they have a long injury list that includes Callum Wilson and Junior Stanislas. It meant Howe had to field a much-rotated side, which clearly played a part in their defeat. Speaking about the Cherries’ injury concerns, Howe said: “We had Callum Wilson, David Brooks, Charlie Daniels, Nathaniel Clyne and Junior Stanislas are huge players for us. There’s no other solution, we have to keep fighting. Bournemouth have two weeks to rest and regroup before their next fixture, when they host ​Wolves on 23 February. They play again just four days later, as they face ​Arsenal at the Emirates.